Crystal Lake Publishing, 9781945173073, 280pp. 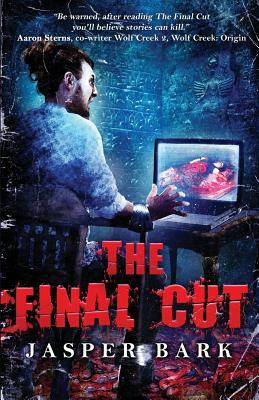 The Final Cut is a genre busting mash up of crime, horror and urban fantasy. An imaginative and thought provoking tale that explores our need to watch and make horror fiction, examining not just the medium, but the purpose of storytelling itself. Taking in everything from ancient myth, to modern atrocity, this novel will entrance, mystify and appall you in equal measures, haunting you long after you've reached the very last line. In an East London lock up, two film makers, Jimmy and Sam, are duct taped to chairs and forced to watch a snuff film by Ashkan, a loan shark to whom they owe a lot of money. If they don't pay up, they'll be starring in the next one. Before the film reaches its end, Ashkan and all his men are slaughtered by unknown assailants. Only Jimmy and Sam survive the massacre, leaving them with the sole copy of the snuff film. The film makers decide to build their next movie around the brutal film. While auditioning actors, they stumble upon Melissa, an enigmatic actress who seems perfect for the leading role, not least because she's the spitting image of the snuff film's main victim. Neither the film, nor Melissa, are entirely what they seem however. Jimmy and Sam find themselves pulled into a paranormal mystery that leads them through the shadowy streets of the city beneath the city and sees them re-enacting an ancient Mesopotamian myth cycle. As they play out the roles of long forgotten gods and goddesses, they're drawn into the subtle web of a deadly heresy that stretches from the beginnings of civilization to the end of the world as we know it.